ALERT, BREAKING NEWS! ALERT, BREAKING NEWS! 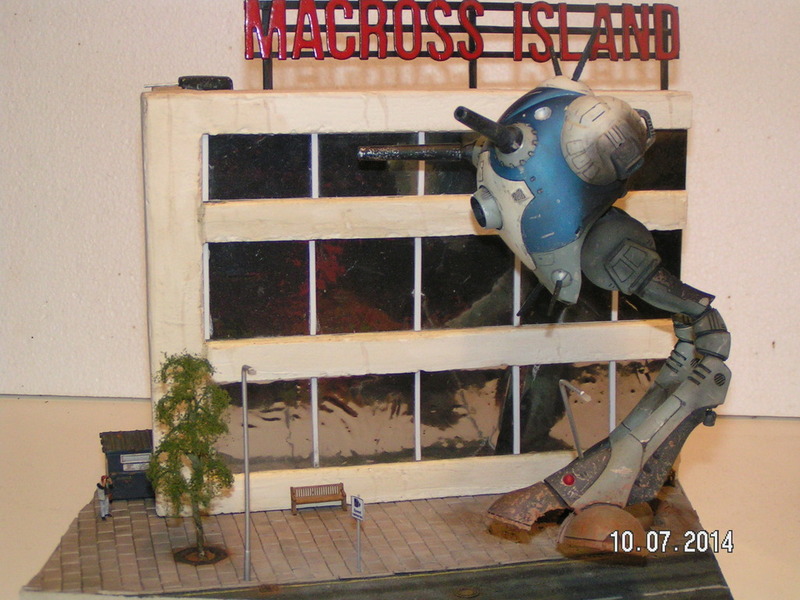 A Zentradi invasion fleet has been detected in orbit above Macross Island!! The city and island have been evacuated of all civilians, Earth Spacey forces are setting up a defence perimeter! 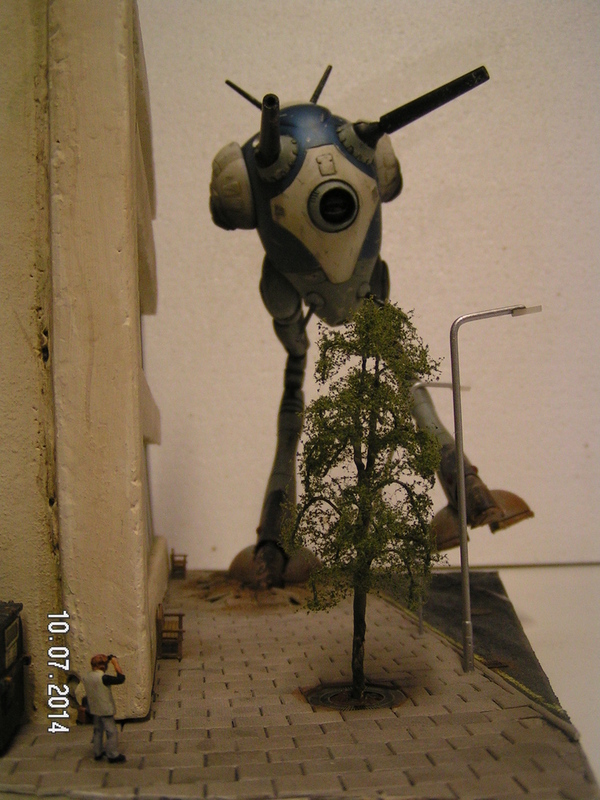 Surveillance drones have detected enemy battle pods moving through the city towards the Earth Spacey forces entrenched around the SDF1. The battle pod stands 15.12m tall and weighs in at 37tonnes. 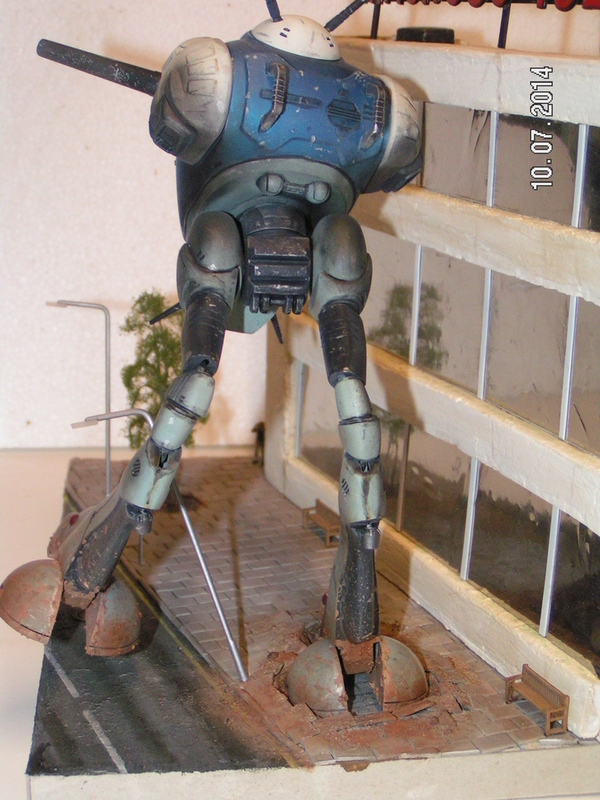 This is a 30th Anniversary 1/72 scale kit from Bandai, painted in Tamiya colours, weathered using Vallejo washes & Mig pigments. 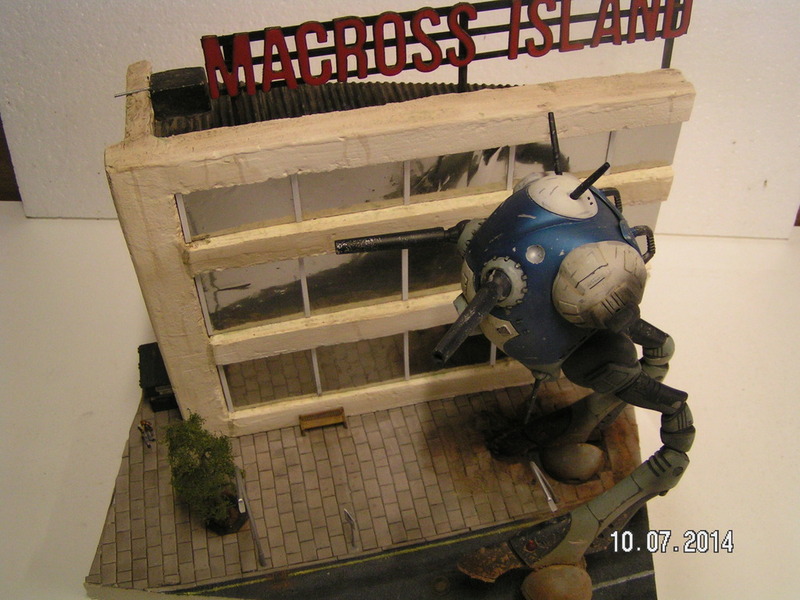 The model is sealed using Vallejo matt acrylic varnish. There so much new stuff I've tried out on this kit, it will take a while, this has been a challenge and I've enjoyed every leaning moment of it! Please do have a look, your comments and crits will be most appreciated. [quote="Snowy"]ALERT, BREAKING NEWS! ALERT, BREAKING NEWS!